If you are an IT Administrator, you may need to install multiple Hypervisors in your environment running on VMware workstation or other hypervisors. 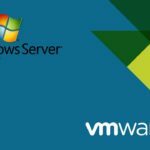 In this post, we will see enabling Hyper-V on Virtual Machine running on VMware. Then open the properties of your Virtual Machine and enable Virtualization on Processor as shown below. Now you are ready to start your Virtual Machine and install Hyper-V on it.